This image manipulation originated in a fresco by Andrea Mantegna, a section of the Camera degli Sposi: The Meeting Scene. 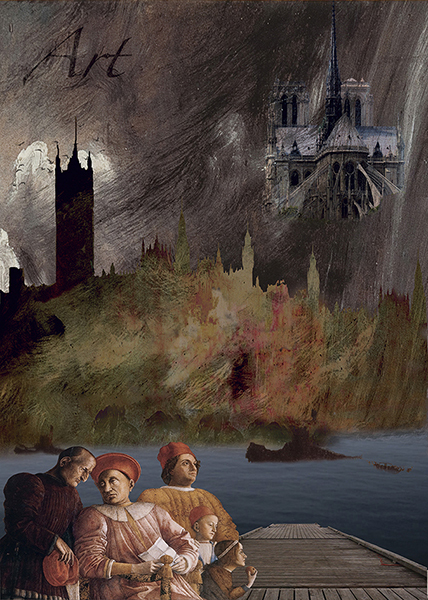 I used a picture of Notre Dame from my collection, a Thames tugboat, Westminster in profile and a number of textures, brushes, layers and masks. The characters in front will be substituted at some point by real people.